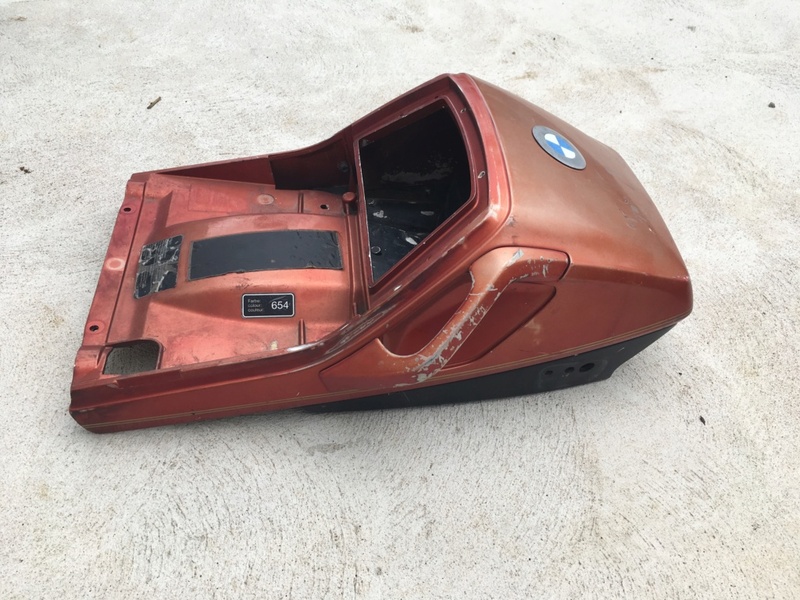 K100-forum.com » Buy and Sell » Ducktail needs new home. Has now found one! I need to start cleaning out unused/surplus parts. This ducktail off my 1990 K75 needs a new home - yours if you pick it up. Anyone who can use it just PM me for my address. Could cost you an arm and a leg. You also need one of those K powered hovercrafts. We have one here, in Kerry. Being a duck, I gotta ask: Why do you guys call it a ducktail? Hope it's for free, fuel is gonna cost me a leg "
I was trying to think of a smart reply too when I saw Gaz's post. I'd've been very happy with that. And talking of K-powered hovercrafts, I came across one in Sheffield ten or so years ago. The guy who owned it reckoned it was one of a fleet of K-powered hovercrafts used in the opening sequence of the Bond film; Die Another Day. Always meant to watch it to see if I could make out the 'hovering brick'. @ Duck, not sure where the "Ducktail" terminology came from but I'm confident that it would not have been in reference to the back end of your good self. @Arlina, don't invest too much money in outfitting your K bike with floats to get here as one of the Oz inmates has put their hand up to give it a new home.